i just got a problem with my tab where it keeps on shutting itself. so i decided to do a factory reset but..it wont let me. it's just goes on samsung galaxy tab 3 logo then there's a blue text above saying "recovery booting.." but it's just stuck in there. ( so i need to hold the power + down button to escape that screen and restart my device) that always happen every time i try to do a factory reset. and also my device is rooted. i got this tab 9 months ago. pls guys i really need help. im having 2 problems with this device so any help thanks. Did you follow these steps? 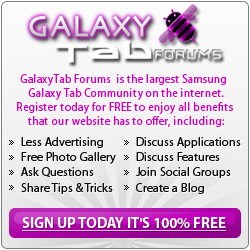 https://www.ifixit.com/Guide/Samsung...rd+Reset/24444 Start with the tab turned completely off. 1. Press and hold the [VOLUME], [HOME], and [POWER] buttons while the camera is turned off. Wait until the screen lights up before releasing it and enter the Recovery mode. 2. After entering the recovery mode, the English selection interface will appear, select Wipe Data / Factory Reset to determine - then select the middle row YES--DELETE; OK.
3. Then select Wipe Cache Partition to determine once. 4. Finally select the first reboot system now restart the phone. Note: Be sure to back up important personal data such as personal data, phone book, and text messages during the above operation, as these data will be cleared when unlocked.